Interest in Nootropics has grown exponentially over recent years within the health conscious communities and is still a trend moving upwards as I write this. Nootropics are essentially smart drugs that can be bought over the counter or online at retail prices below $50. The majority of Nootropics are cognitive enhancers, that is they are designed to effectively improve cognitive functions such as memory (short term and/or long term), learning, alertness, focus and attention. One reason why Nootropics have become one of the most popular health & fitness products to be bought on the net is their widespread availability. This has also made Nootropics to be sold at commercial prices affordable to the average consumer. Besides Nootropics are highly regulated and vetted by the FDA and other international regulatory bodies so are very safe to consume just like you would with any other good quality food supplement. Nowadays Nootropics are consumed by anyone who wants to improve and optimise mental performance and sharpen his or her cognitive skills. It is no longer a product sought after by just CEOs and jet set executives. The sheer number of Nootropics available over the counter or online has also grown incredibly large. Up to a year ago I used to believe that Nootropics were just limited to Alpha GPC or Huperzine A but there are far more than that. It can become confusing at times and in fact the purpose of this post is to catalogue some of the most important Nootropics and other smart drugs so as to give the reader an idea of what’s available on the market and what some of these smart drugs do. I have categorised the list into Cognitive enhancers and Mood enhancers. Some Nootropics overlap both categories. Adrafinil is a popular Nootropic on the market because of its ability to increase mental focus & attention without the jittery feelings normally associated with substances such as caffeine. Adrafinil is metabolised in the body into Modafinil a highly expensive prescription medication for alertness. Adrafinil has been shown to increase alertness and learning speed. It is one of the most sought after Nootropics by students who require a steady level of focus and alertness. Noopept is Nootropic with properties very similar to a well known compound called Piracetam. The difference is that Noopept is found to be a thousand times more powerful then Piracetam because of a greater ability to cross the blood-brain barrier. Noopept is a powerful cognitive enhancer meaning that it addresses most cognitive functions such as memory, attention and learning. Aniracetam is a popular member of the Racetam Nootropic family. Aniracetam has not only been shown to improve memory and learning but also to reduce anxiety. Don’t forget that anxiety and stress are two of the biggest negative factors inhibiting proper cognitive function. Naturally we are more prove to learn better and improve our mental performance when we are in a relaxed and focused state of mind. Acetyl l-carnitine is usually very popular among the sports and fitness enthusiasts because of its fat burning properties and for its ability to lower cholesterol in the blood. However Acertyl l-Carnitine is also a cognitive enhancer. So I would say that it is a good supplement choice to have in your cabinet if you want to address fat-burning and aid your mental performance at the same time. Alpha GPC is one of the most famous Nootropics around. Its main properties are those of raising choline levels in the brain and also dopamine and serotonin levels in the brain. 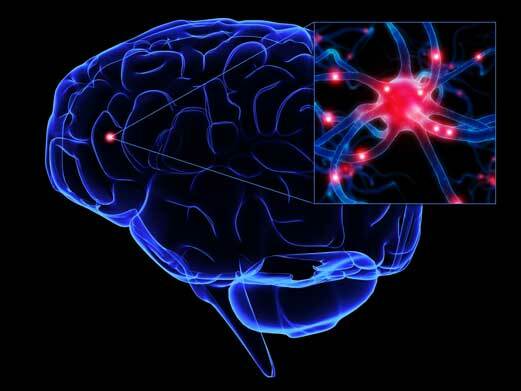 Both dopamine and serotonin are neurotransmitters responsible for euphoric ‘feel-good ‘ sensations. Alpha GPC is often used in combination with other cognitive enhancers such as Noopept and Adrifinil. Interestingly, Alpha GPC is also used with other supplements such as Choline Bitartrate and Piracetam as a lucid dream enhancer. See Thomas xxxx’s book on Lucid Dreaming drugs. Studies have shown the efficacy of Sulbutiamine to increase memory. It is also effective in fighting fighting B1 deficiency. Pramiracetam is one of the most powerful members of the Racetam group of smart drugs. 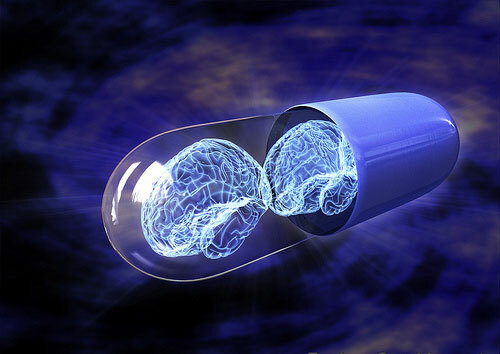 It is a cognitive enhancer capable of improving memory and decreasing forgetfulness induced by amnesiac drugs. Uridine is another cognitive enhancer that stimulates and helps the synthesis of the neurotransmitter Dompamine in the brain. Dopamine is a ‘feel-good’ neurotransmitter that also plays a role in long term memory and learning. Uridine also helps balancing Choline deficiencies in the brain such as Acetylcholine which is an important neurotransmitter. Oxiracetam is another very powerful Nootropic tested in double blind studies to increase memory. It is not as much known as Noopept or Alpha GPC but those who have done their research know how much an ally this Nootropic can be in their cognitive enhancing arsenal. Centrophenoxine is more widely used as part of a ‘brain repair’ supplement because it is very effective at entering the blood-brain barrier and cleaning cellular damage and waste such as lipofuscin. Having said that, it is also known to significantly improve memory. This is the only form of magnesium that can be effectively absorbed by the brain. 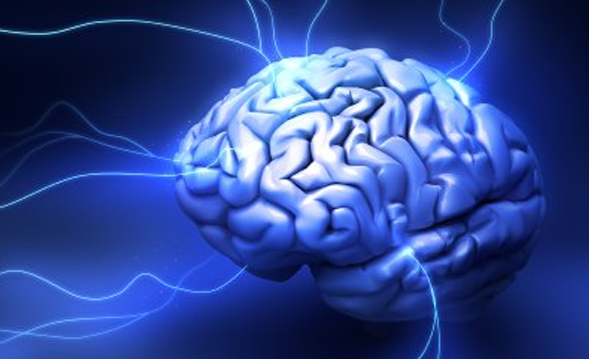 Supplementing the brain with Magnesium is extremely helpful in augmenting cognitive function. In some studies it was shown to have significant effect on short term memory. Huperzine A is a very popular Nootropic having been made more public on one of Tim Ferriss’s famous posts. It is known to prevent Choline breakdown in the brain and improve memory and possibly facilitate neurogenesis. L-Theanine is perhaps more widely known as being an amino-extract from Green Tea. I know a lot of people who use Green Tea supplements nowadays, so L-Theanine is something that is becoming more familiar. It has calm promoting properties by reducing the production of Cortisol (the stress hormone). It is also known to improve mood and thus enhancing cognitive faculties such as attention. Phenibut is a Nootropic for reducing anxiety and stress while sustaining the immune system. It is a derivative of GABA, another calm inducing Nootropic but is more easy to penetrate the blood-brain barrier. GABA is a widely used Nootropic for calming the nervous system and relieving symptoms of anxiety. It is also used by bodybuilders because of its capacity to release the human growth hormone. The curious things about GABA is that it doesn’t cross the blood-brain barrier yet its relaxation properties have been tested over time which boggles the mind of scientists a bit. This is commonly used in Indian Ayurvedic medicine. It has been shown in double-blind studies to reduce fatigue and stress by decreasing the cortisol levels in the brain and body. 5-HTP is easily found in any health store. It is an amino acid extract which is synthesised in the brain into serotonin. As mentioned earlier, Serotonin is a neurotransmitter that is key in elevating our mood and reducing food cravings. In fact, 5-HTP is commonly used for any of the following three purposes: Enhancing mood during the day, promoting restorative sleep and weight management.